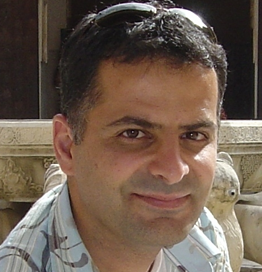 Khalil El-Khatib is currently an Associate Professor at University of Ontario Institute of Technology. Dr. El-Khatib was an Assistant Professor at the University of Western Ontario prior to joining UOIT in July 2006. Between 1992 and 1994, he worked as a Research Assistant in the Computer Science department at AUB. In 1996, he joined the High Capacity Division at Nortel Networks as a software designer. From February 2002, he was a Research Officer in the Network Computing Group (lately renamed the Information Security Group) at the National Research Council of Canada for two years, and continued to be affiliated with the group for another two years. Dr. Khalil’s research interests include security and privacy issues for the smart cities, smart grid, Vehicular Ad hoc Network (VANET) and mobile wireless ad hoc networks (MANET).